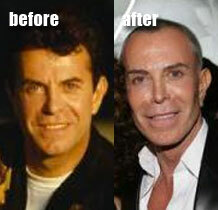 Jean Claude Jitrois after plastic surgery photos. Meet Jean Claude Jitrois, a famous French designer who interestingly enough specializes in leather apparel, a line of work which seemingly came to life in the form of his presumed plastic surgery transformation. 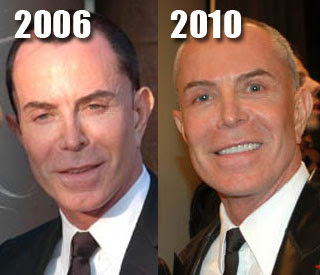 Perhaps designing skin tight leather attributed to Mr. Jitrois' drastic plastic surgery decision, which would appear to include procedures such as a facelift, nose job, chemical peels, botox and facial fillers. And for an additional little factoid, Jean Claude Jitrois is closing in on seventy years young, so that might give you an idea of exactly how much works hes had done.